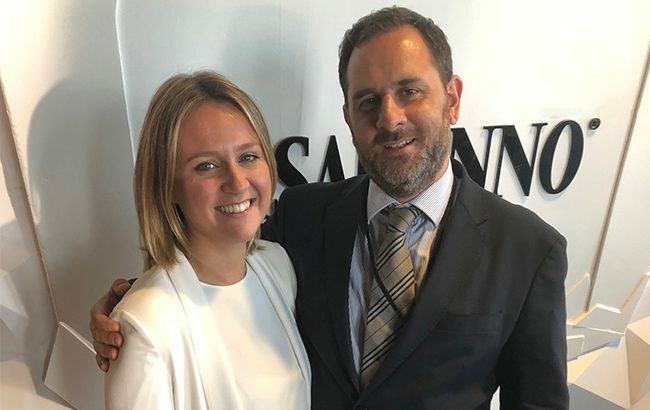 Disaronno owner Illva Saronno has appointed Nikos Tsagarakis as its global travel retail director and Valentina Cozzi as global travel retail marketing manager. The new hires are a result of the Italian drinks company’s aim to ensure its “continued growth and development” in travel retail. Tsagarakis joined Illva Saronno in 2011 and has held a number of roles, including regional manager and regional director across Europe, Africa, and the Middle East. Prior to joining the Italian firm, Tsagarakis spent eight years at Allied Domecq Greece and held roles at Boutari Wines and Campari Group. “Holding the title of global travel retail director is an exciting opportunity,” said Tsagarakis. “In the last 11 years, I have had the privilege to work in an international environment that has driven me to form an international mindset and excellent communication skills. Cozzi joined Illva Saronno as a shopper marketing and travel retail specialist in 2013. In her previous role, she led development and innovation in the off-premise and travel retail channels for Illva Saronno’s portfolio of brands. “After six years successfully working in the global marketing team and partnering with distributors to develop local plans, I’m excited to take the role of global travel retail marketing manager to further boost [Illva Saronno’s] portfolio growth within this exclusive and premium channel,” said Cozzi. The news comes just days after the announcement that Illva Saronno and Ireland’s Walsh Whiskey Distillery have ended their joint venture with immediate effect following a dispute over the future direction of the business.